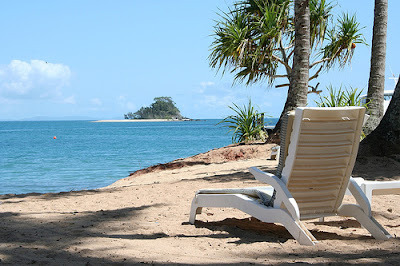 - Brokelyn has 12 ideas for you to celebrate your labors this weekend. You may have seen the map above showing where Republicans exist in New York City, presented by WNYC . The darker areas of the map show that in portions of Staten Island, southern Brooklyn and Queens, Republicans approach and, in some cases, surpass Democrats as the majority. But you may not have noticed the imperfect but still somewhat disturbing similarity of the Republican map of New York City to the West Nile Virus mosquito map of New York City. On this map, above, provided by the NYC Dept. of Health, the red areas show that in portions of Staten Island, southern Brooklyn and Queens, mosquitoes carrying deadly West Nile virus have recently been detected. We are in no way suggesting any link between Republicans and West Nile Virus! A total of 1,590 cases of West Nile virus, including 66 deaths, were reported through late August in the U.S., according to Reuters. All 48 contiguous states have reported cases of West Nile virus. But more than 70 percent of the human cases have been reported in just six states: Texas, South Dakota, Mississippi, Oklahoma, Louisiana and Michigan. Oddly, these are all Republican -- or red -- states, except for Michigan, which is a mixed, or purple state. No doubt the infected mosquitoes will eventually spread to every district and state in the country. There's no telling about Republicans, though some will say that they are spreading as well. In either case, there is no treatment for infection, and no vaccine. The only preventive measure is to avoid being bitten. 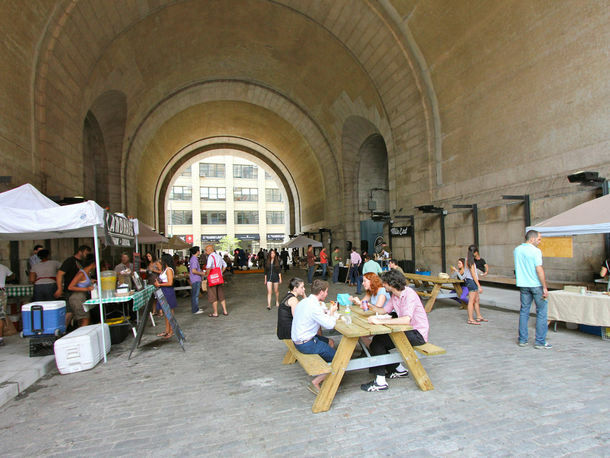 Smorgasburg —- the Brooklyn Flea's popular Williamsburg food festival -- will soon be operating in DUMBO on Sundays. 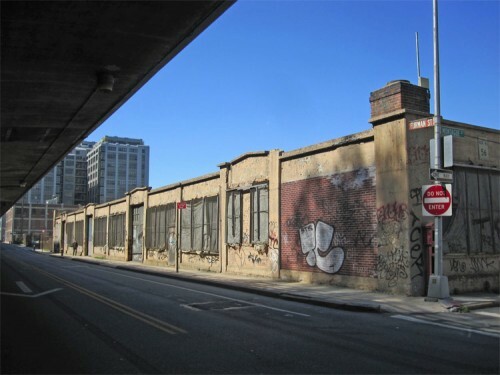 Starting September 9th and continuing through November 18th, food vendors will set up the roofless Tobacco Warehouse in Brooklyn Bridge Park, on Sundays from 11 a.m. to 6 p.m. The event will continue to roll in Williamsburg on Saturdays. But that brings up the next question: Shouldn't the DUMBO branch of Smorgasburg be called "Smorgumbo?" More details at Brooklyn Flea. 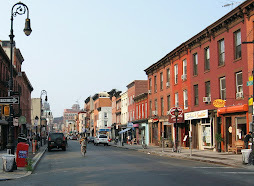 Brooklyn is ranked number five on a just-released list U.S. cities with sleepless singles, according to online dating site Chemistry.com. Apparently many of those sleep-starved folks are online during the wee hours looking for love. Are you one of the sleepless ones? 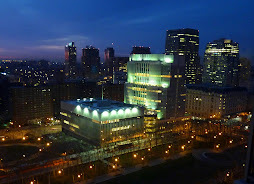 Chemistry.com is hosting a free Up All Night online event starting tonight at 9 p.m.
More at the Brooklyn Eagle. - Brownstoner has the update on Tuesday night's Cobble Hill house fire. The New York Times has put together a wrap up of the national retail chains flocking to the Fulton Street Mall in Downtown Brooklyn. The latest retailer to sign a lease is the furniture chain Raymour & Flanigan, which will occupy the second floor at 490 Fulton Street. Century 21, H&M and T. J. Maxx also plan to open stores, and many other chain outlets have already opened their doors. The Times points to the area's growing student population, thousands of new residential units, millions of dollars in infrastructure spending by the city and several new hotels, and says that rents are rising. A far cry from April, 2009, when City Point was put on hold, retail rents were in a slump, and an Arby's fast food joint (instead of Amy Ruth's) moved into the landmarked building that housed Gage & Tollner for more than a century. Here's ABC's interview with Craig Schum, the Brooklyn baker who ran barefoot into the woods towards a crashed plane (scaling a 12-foot fence) to pull a woman out of the wreckage before it exploded. More at Huff Post and ABC. McBrooklyn's going out of town for a while, and may not be near any Internet. Have a relaxing rest of August everybody -- we'll be in touch periodically. Even if you missed the excellent Cold Blood Club this past last-beer Thursday under the Archway in DUMBO (wow that arch sure provides reverb), you haven't missed all the musical excitement taking place under the Manhattan Bridge. 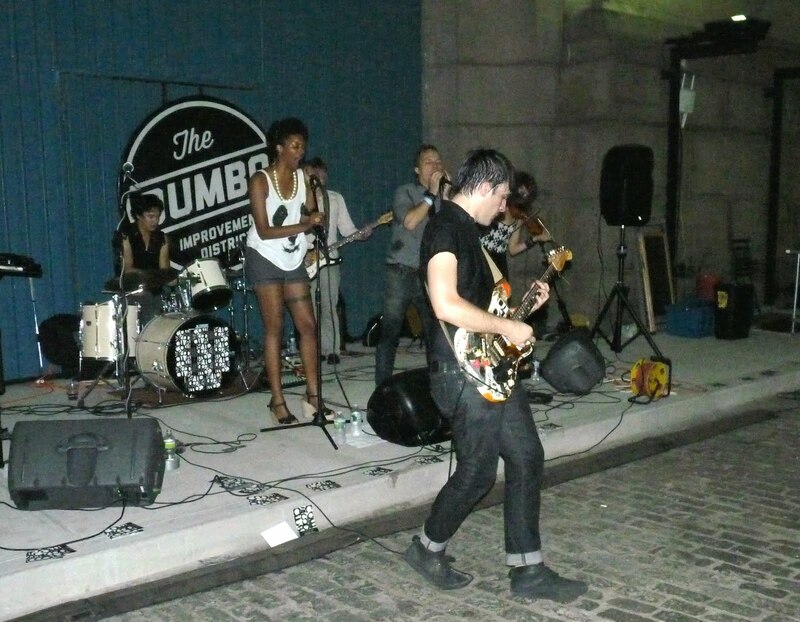 O Music Awards Unboxed is putting on a big to-do this Friday, August 17 from 2 - 9 p.m. called DUMBO Summer Friday, featuring music from Javelin, Prince Rama, Zambri and Bosco Delrey, as well as DJ sets by the band Silent Drape Runners. This is the kind of party it is: Artist Laura Vitale will be showing off her sound installation (a work called “Plaster” having to do with the audio-visual qualities of plaster). MRI Lightpainting will let people play with their LightBomber app for iPhone via a special photobooth. Paul Lamere will be demo-ing music hacks, and app developers will be unveiling other new music tools. Brooklyn Flea’s food vendors will be on hand. DUMBO Summer Friday is sponsored by O Music Awards, DUMBO Improvement District, L Magazine and Northside with support from Councilman Stephen Levin. The New York City Department of Health is going to spray Staten Island with pesticide starting this Wednesday night, August 15 after 8 p.m.to combat swarms of mosquitoes infected with the potentially deadly West Nile virus. According to the latest mosquito map, infected mosquitoes have been found all over the island. A Staten Island man was hospitalized with West Nile-caused viral meningitis at the end of July, the first case in NYC. He survived and has been released from the hospital. 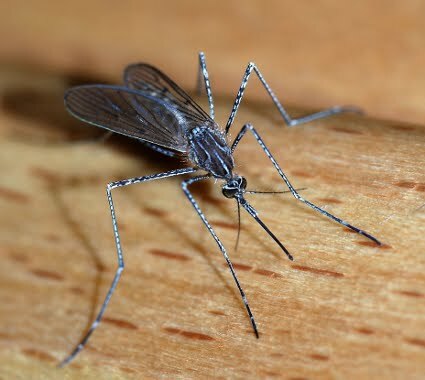 West Nile virus has also been detected in mosquitoes in the Brooklyn neighborhoods of Dyker Heights, Greenwood Heights, Starrett City and Windsor Terrace, but spraying has not been announced for these neighborhoods yet. While the Health Department says the pesticide is safe when used properly, they urge people to stay indoors if possible, close your air conditioner vents, remove children's toys and playground equipment (and wash it and anything else sprayed with soap and water including clothing or skin). We would add keep your pets indoors, and don't take your kids to the playground until after a rain. Also, pick your tomatoes today! If it rains Wednesday night, the spraying will be put off until the next day. Mosquito tips here. Aside: Dallas has launched a War on Mosquitoes, declaring a state of emergency and asking for five planes to drop pesticides onto the mosquitoes, says Gawker. Amy Sohn's latest Brownstone bashing book Motherland came out today. Is it a “juicy, diverting look at the private lives of hip, urban parents,” as claimed by her publicist? Or one of the most horrifying visions of turning 40 ever written, as hundreds of commenters posted in The Awl after reading an article based on the book? The Brooklyn Eagle puts it this way: "Sohn may not be able to eat lunch in Brownstone Brooklyn for quite a while." Brooklyn Heights neighbors are protesting the Bossert Hotel’s plan to build a rooftop bar and restaurant, citing worries about noisy crowds partying late into the night. The two new owners swear that won't happen. One of them was once on the Public Advocate’s worst landlord list, and the other was forced by a judge to turn down the music on top of another one of his rooftop bars. So it's all cool, right? More at the NY Daily News. Brooklyn’s 24th National Guard Weapons of Mass Destruction Civil Support Team (at Fort Hamilton) was recently put on the chopping block to save money, and the city was this close to losing it. This is the team that trains specifically for terrorist attacks and emergencies in the five boroughs. Fortunately, Rep. Michael Grimm (R-Staten Island/Brooklyn) had the funding inserted into a Defense Department appropriations bill that was approved by the House of Representatives last week. But he also said the funding is contingent upon the approval of the U.S. Senate. “New York City remains the number one terror target in the nation, and we simply cannot afford to make nonsensical and irresponsible cuts to such an essential asset to our security,” Grimm said. Shown above: Soldiers from the California National Guard 95th Weapons of Mass Destruction Civil Support Team (similar to the one threatened in Brooklyn) and the 95th Chemical Company, 2d Engineer Brigade, conduct joint operations at the Arctic Nuclear, Biological, and Chemical Site on JBER-Richardson July 17. Photo courtesy of Joint Base Elmendorf-Richardson. 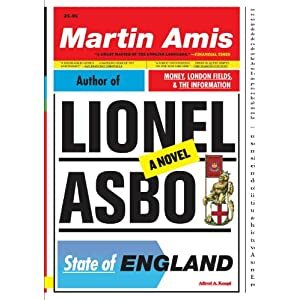 Author Martin Amis will be reading from his book: "Lionel Asbo: State of England" at Brooklyn Bridge Park tonight, Monday, August 13 at 7 p.m. This is the last of the park's outdoor literature series. The event will include a reading, Q&A, and book signing. Bookcourt is sponsoring tonight's reading. Now might be a good time to take that vacation, especially if you live in Brooklyn -- or Queens or Staten Island. Potentially deadly West Nile virus has spread to mosquitoes in the Brooklyn neighborhoods of Dyker Heights, Greenwood Heights, Starrett City and Windsor Terrace, the Brooklyn Eagle reports. Several of the zip codes border the lake at Prospect Park, called by park activist Anne-Katrin Titze "stagnant lakeside pools of filthy water." The Department of Health warns people over 50, youngsters and those with compromised immune systems to cover up and use spray, and to dump those stagnant pools of filthy water where mosquitoes can breed. More at the Eagle. 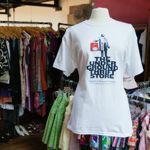 This Sunday, the Underground Thrift Store at Plymouth Church (65 Hicks Street) in Brooklyn Heights will hold their Semi-Annual Stuff-a-Sack summer clearance sale on adults' and children's clothing. Purchase a $25 tote and stuff it with as much clothing as you want. You can also purchase individual items at 50% off. 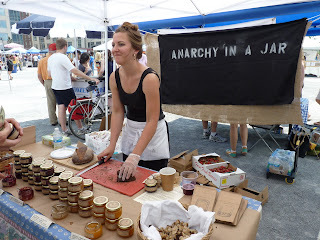 - Fort Greene will get another farm-friendly spot when Prospect opens later this month. New York Magazine tells you what to eat when they open. - Brooklyn Magazine lists 8 compelling reasons why Brooklyn DA Charles Hynes has to go. 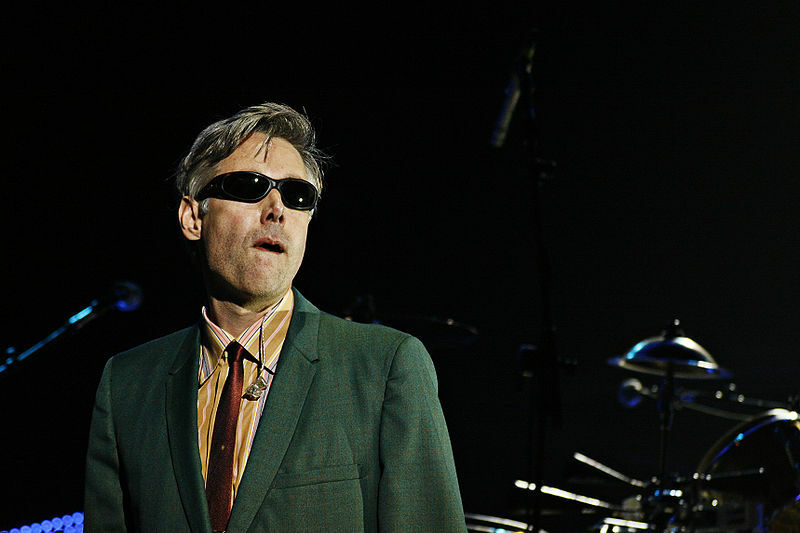 Late Beastie Boys member MCA (Adam Yauch) instructed in his will that his image, music and any art he created could never be used for advertising, reports DNAinfo. Other deceased musicians' songs and pictures -- like Kurt Cobain's and Joey Ramone's -- have been used commercially in ways they may not have approved of when they were alive. Yauch's will, filed Tuesday, says the Brooklyn native's entire fortune of $6.4 million should be placed in a trust for his wife, Dechen Yauch, and their 13-year-old daughter. Yauch died in May. Rivers In Aisle 5: On Tuesday Brooklyn-born Joan Rivers handcuffed herself to a shopping cart in Burbank, California to protest Costco's refusing to carry her raunchy bestselling book, "I Hate Everyone … Starting with Me." Now she's warning that she may stage a one-woman show at the Costco in Sunset Park, Brooklyn -- perhaps dressed as Betsy Ross. "It's not about money. I'm considering myself now the Jewish Rosa Parks," she told the NY Daily News. Rivers is a multi-talented personality, comedian and actress who's had a ton of plastic surgery. 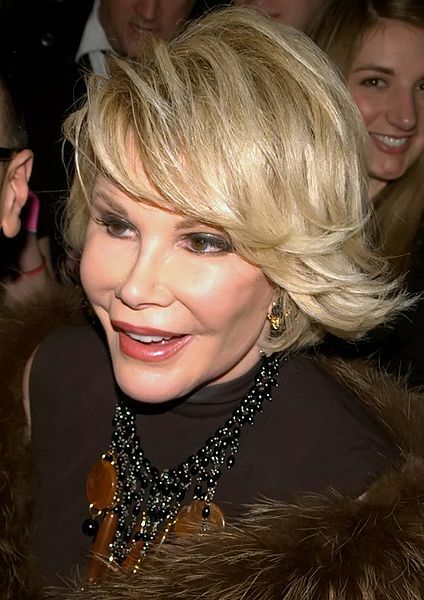 The photo above was taken in 2010, when she was 77. Changing the name of the "Velodrome" proposed for Brooklyn Bridge Park to the "Fieldhouse" changes the way we perceive the structure. * A Velodrome is an arena used for racing specialized bikes on a steeply banked track. Now just for fun, picture the same structure named the "Arena." * "An arena is an enclosed area, often circular or oval-shaped, designed to showcase theater, musical performances, or sporting events . . . It is composed of a large open space surrounded on most or all sides by tiered seating for spectators. The key feature of an arena is that the event space is the lowest point, allowing for maximum visibility. Usually, an arena is designed to accommodate a fairly large number of spectators." The Brooklyn Bridge Park Arena would be small as arenas go. It would be nowhere as big as the huge Barclay's Center, plotzed like a giant aircraft carrier in the middle of Downtown Brooklyn. But in comparison to the available land, the new arena would be honking huge. The proposal calls for a 200 meter track. Here are some photos of a 200-meter velodrome. To sum: The Brooklyn Bridge Park board is considering siting an arena seating 2,500 spectators in the park. Velodrome, Fieldhouse or Arena. Is it the right structure for Brooklyn Bridge Park? - Brooklyn Bridge Park Fieldhouse: Is Velodrome Racing a 'Quaint, Obscure, Bizarre' Sport? - Did You Miss the Fieldhouse Forum? - Who IS This Guy Who Donated $40 Million To Brooklyn Bridge Park? Get ready, get set: Brooklyn's legendary Soap Box Derby takes place on August 18. Racers zoom their non-motorized handmade contraptions down 17th St. The children's race takes place at 12 p.m. and the grownups race at 1 p.m. Check-in at 11 a.m. The Lightstone Group recently contacted Community Board 6 about taking over the development of properties at 363-365 Bond Street in Gowanus (commonly referred to as the Toll Brothers site). Lightstone will brief the community at the CB6 Landmarks/Land Use Committee at 6 p.m. on Thursday, August 23rd. CB6 says they no details about their plans at this time, though Lightstone Group indicated that they are expecting to bring a formal land use action for public review this fall. According to The Real Deal, Toll Brothers had planned to build 460 condos and townhouses at the site, but abandoned the project when the Gowanus gained Superfund status last year. The EPA says cancer-causing poly-aromatic hydrocarbons and other potentially harmful chemicals are present in the ground. Tonight's film (Monday, August 6) on the beach at Coney Island stars Tom Cruise as Ethan Hunt in the fourth of the 'Mission Impossible' series. 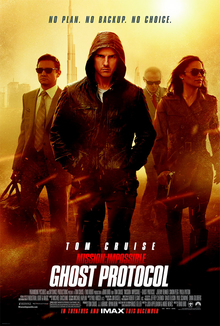 Hunt and his team, implicated in the bombing of the Kremlin, must go rogue to clear the Impossible Missions Force's name. 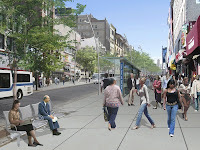 Address: 3059 West 12th Street, Brooklyn, Take the D, F, N or Q train to Coney Island, walk to the beach and make a left. Councilman David G. Greenfield and the Sephardic Federation have offered a $5,000 reward for information leading to the arrest and conviction of the killer of 59-year-old Isaac Kadare. Kadare was murdered Thursday night in his Amazing 99 cents Deals shop on 86th Street near 19th Avenue. Relatives said he likely was robbed for the cash he had just collected from a tenant. “He was a great man and a family man,” his widow Nancy told the Daily News. The bullet found in Kadore was linked to the same gun used in the killing of another store owner a month before, the Daily News reports. "By all accounts, Mr. Kadare was a kind, caring and devoted family man who never hesitated to help those in need," said Greenfield, who urges anyone with any information about this crime to contact the NYPD's tip line at 1-800-577-TIPS. Brooklynites are burning about the scheme to allow National Grid and the Transcontinental Gas Pipe Line Company (TRANSCO) to install a natural gas pipeline beneath the nation’s oldest – and one of its largest – urban national parks, including some of New York City's nicest beaches. 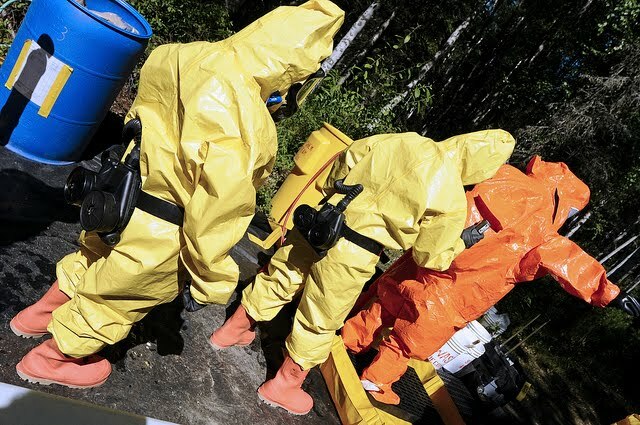 Companies and government have been developing the project clandestinely for years, reports Sheepshead Bites. A coalition has just formed to fight the harebrained scheme and NYC Audubon has put up a call for citizens to come down to Jacob Riis Saturday (tomorrow, August 4) to rally from 11:00 a.m. to 3:00 p.m. The plan is to connect a primary natural gas artery in the Atlantic, just off the coast of the Rockaways, to a National Grid hub in Brooklyn. The pipe will go under the Rockaways, across the Rockaway inlet and underneath Floyd Bennett Field. The bizarre plan flies in the face of a new management agreement between the federal government and New York City. 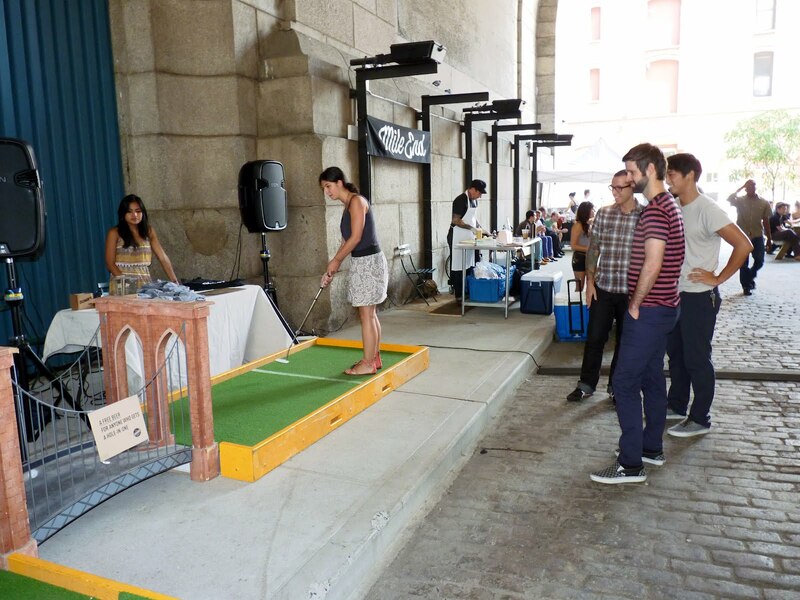 Golfers competed for a free beer at Brooklyn Flea's food, beer and Loosecubes happening under the Manhattan Bridge Archway in DUMBO yesterday. - Gizmodo says the new Hotmail is fantastic. A body was found at 86th Street and 19th Avenue in Bensonhurst Thursday evening about 9 - 9:30 p.m. Above is an image from Google Maps showing the intersection. According to Bensonhurst Bean, NYPD have been there for at least an hour. NY Scanner first reported the discovery. UPDATE: Isaac Kadare, 59, was discovered DOA around 8:50 p.m. Thursday in his Amazing 99 cents Deals shop on 86th Street near 19th Avenue. More here. You've eaten lunch Under the Archway. You've drunk beer Under the Archway. Now you can work Under the Archway. 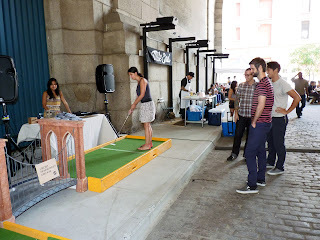 Every Thursday in August, Loosecubes will be operating a reserved section of picnic tables under the Manhattan Bridge Archway in DUMBO for people who want a workspace and free Wi-Fi in the Brooklyn wilds. There will be a number of table spaces reserved from 10 a.m. - 6 p.m. There aren't any power sources (though we're told there might be mini golf), so make sure to come with your devices fully charged. Loosecubes finds a match between office spaces with an empty desk and independent workers looking for an alternative to the coffee shop. The event is being put together by the DUMBO Improvement District. At 88, she's a member of a senior center in Bay Ridge. She has 20 great-grandchildren, and she crochets baby blankets to donate to the Sunset Park Family Health Center. 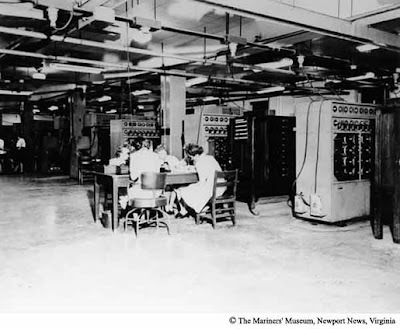 But 68 years ago Ruth Soranno worked in a U.S. Navy office in Washington, D.C., helping the Allies decipher Japanese code. “We knew we would destroy the enemy. 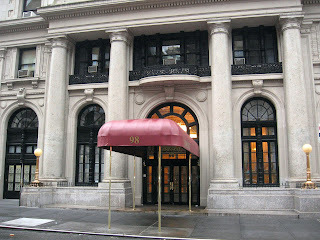 And we did,” she told the Brooklyn Eagle in a profile Monday. Today at 3 p.m., BP Marty Markowitz will present a proclamation to Daniel Spitz, owner of The Orchard at 1367 Coney Island Avenue, shown above left with his son Mitchell. "My Dad was born to immigrant Hungarian and Romanian Jews in 1928 just as the Depression was about to descend upon America. He was placed in the Brooklyn Hebrew Orphanage with his brother at 6 years of age when his parents could not afford to keep him. "Over time, my Dad's father abandoned the family never to be heard from again while his mother eventually stopped visiting the boys at the Home. After many failed foster home experiences, the boys were placed in a loving foster home (with an Orthodox Jewish father and a devout Roman Catholic mother!) in their mid-teens and went off to the army in 1946 after graduating Lafayette High School. 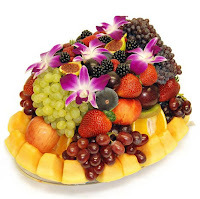 "Upon his return, my Dad worked the streets of Midwood with various delivery jobs including a fresh egg route. He learned about produce while working at Smilen Brothers, a large chain of fruit stores in Brooklyn. He finally saved up the 500 dollars to open the Orchard in 1957. 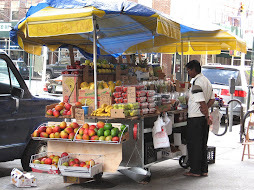 While there were four other fruit stores in the immediate area of Midwood, The Orchard outlasted them all and started to thrive by offering the highest quality fruit and vegetables my Dad could find at the Brooklyn Terminal Market in Canarsie. "Eventually, the store reached iconic status over the subsequent 55 years, serving the best produce to the local Italians and Jews of Brooklyn as well as the likes of Jimmy Carter at his inauguration party in Washington D.C. and Gil Hodges on the day the Mets won the 1969 World Series. "Along the way, my Dad was able to save enough money from selling pineapples and oranges to start investing in real estate on Avenue J and Coney Island Avenue. Today, he proudly owns and manages ten buildings in the area. He also was able to send his son to Princeton University and Columbia University Medical School. His other son was able to step right into the family business and under his stewardship has enabled The Orchard to continue to grow and prosper. "Oh, and by the way, he just celebrated his 60 years of marriage (a truly amazing feat in its own right!)" Was someone orchestrating the proposal to site Joshua Rechnitz's $40 million fieldhouse / velodrome into Brooklyn Bridge Park? 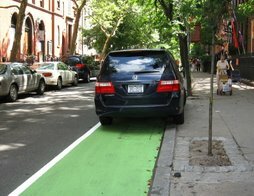 Kate Collignon, a connected former member of the Brooklyn Bridge Park Community Advisory Council (CAC) told the Brooklyn Eagle she did not exploit her position to steer the controversial indoor competitive cycling racetrack to the park, an accusation reported by the Brooklyn Paper. Collignon resigned from the CAC two months ago -- and suddenly popped up working for HR&A Advisors, the consulting firm working for the velodrome's wealthy backer, Rechnitz. Collognon has also worked for the city’s Economic Development Corporation in charge of planning and development at Brooklyn Bridge Park. Collignon and her supporters say she had no input into the velodrome while on the advisory council (the CAC never voted on the proposal), but some of her fellow CAC members think there is at least the appearance of back-scratching. Velodrome skeptics — including Peter Flemming, co-chair of the Brooklyn Bridge Park Community Council — told the Eagle last week that the proposed fieldhouse/ velodrome is a stadium for a marginal sport masquerading as a community recreation center. He told the same thing to the New York Times when they picked up on the story yesterday. 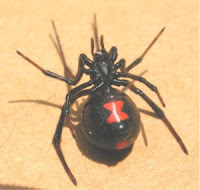 Across the country the mild winter plus the hot, humid summer has resulted in an explosion of black widow spiders. - The toxin of a black widow bite is about 15 times more venomous than that of a rattlesnake. Children and the elderly are more seriously affected, up to and including death. - If you see the red markings on their bellies you're too close. - If you see a large white egg, a black widow spider is likely nearby. - All that scrap wood you picked up off the street and dragged home? That's how you got black widow spiders. - A guy known as "The Bug Man" in Pennsylvania says you can spray them with hairspray to stop them in their tracks. - If you're bitten 19 times you will probably die. Sadly, one entire steeple has been taken down and the three others will be removed in the coming days at Christ Church in Cobble Hill, hit by lightening last Thursday, reports the NY Times. This coming Sunday, services will be held at nearby St. Paul’s Episcopal Church, according to the Brooklyn Eagle.